The following week will see three Australian boxers take to the ring across three different countries. Blake Capparello, Jarrod Fletcher and Jason Cooper will all fight abroad in bouts that could define their respective careers. Undefeated Light Heavyweight Blake Capparello (18-0-1, 6KOs) will make his debut on American soil on the massive Super Bowl weekend. 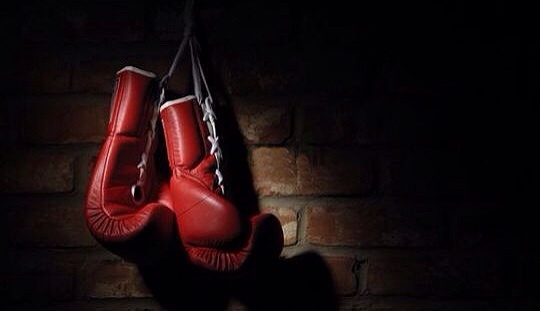 He faces veteran Elvir Muriqi (40-5, 24KOs) as the main event on ESPN’s Friday Night Fights. Capparello is coming off the most impressive performance of his career, easily outpointing veteran American Allan Green, to claim the IBO title. In order to chase the dream of big fights under the bright lights in America and more globally recognised titles, Capparello was forced to relinquish the IBO belt. The fight card is to be held at the Richard J. Codey Arena in West Orange, New Jersey. It will be broadcast Live on ESPN2 in Australia from 1p.m, Saturday the 1st. 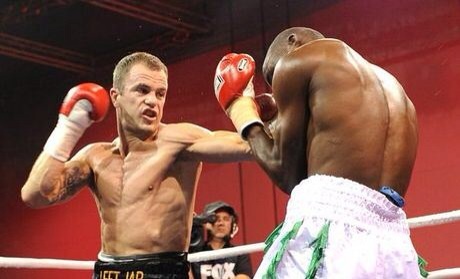 Queensland Middleweight Jarrod ‘Left Jab’ Fletcher (17-1, 10KOs) travels to Monaco to challenge the Ukraine’s Max Bursak (29-1-1, 12KOs) for his WBA Continental title on the Monte Carlo Boxing Bonanza tournament. Originally scheduled to face Brittan’s Martin Murray for his Interim WBA world title, Murray withdrew from the bout, claiming injury as reason, when it’s rumoured he is only chasing a bigger fight with IBF champion Felix Sturm. This fight can be seen on MainEvent PPV from 4p.m Sunday the 2nd, on the undercard of undefeated WBA and IBO Middleweight champion Gennady Golovkin when he defends his titles against Osumanu Adama. 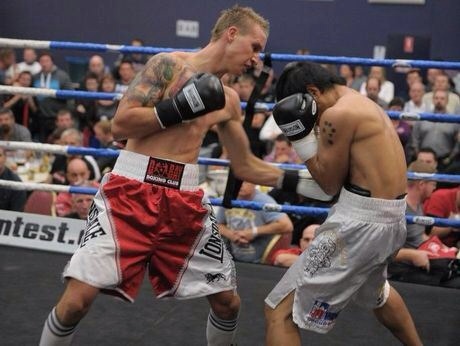 Deception Bay boxer Jason ‘Nugget’ Cooper (8-1-1, 4KOs) heads to China with hopes of taking Qiu Xiao Jun’s (10-2, 4KOs) WBC Asia Council Continental and WBC Youth World titles. The 22 year old Super Bantamweight prospect is riding a six fight win streak. This will be the former Australian champion’s first chance to showcase his talent internationally and a victory could open more opportunities on the world stage for the rising star. 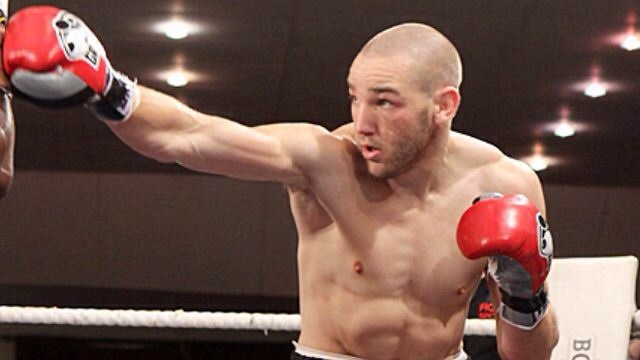 This entry was posted in Boxing, Uncategorized and tagged Australia, Blake Capparello, Boxing, IBO title, Jarrod Fletcher, light heaveyweight, Middleweight, WBA on January 30, 2014 by bradeveleigh. 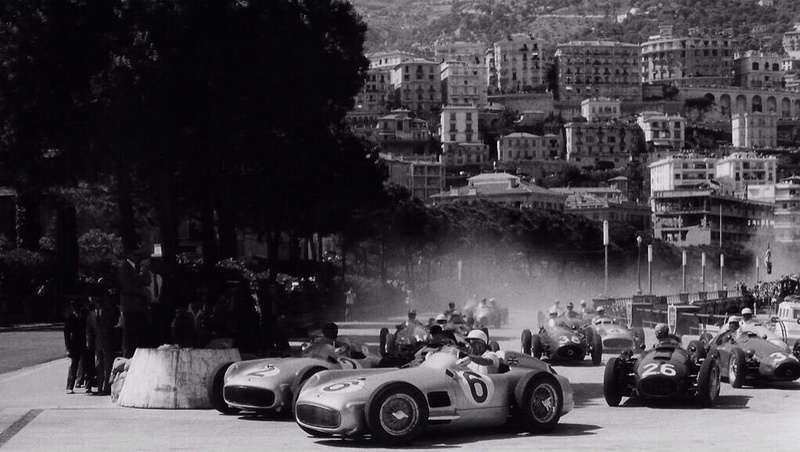 The 1955 Monaco Grand Prix. This entry was posted in Memory Lane and tagged 1955 gp, F1, formula1, History, monaco, Monaco Grand Prix, Motor Sport on January 28, 2014 by bradeveleigh. Formula 1 team, Sahara Force India, have taken an extra step forward with fan interaction announcing their 2014 race car on social networking site, Twitter. Their online media team have been teasing supporters and caught the attention of rivals with a series of Tweets over the last few days posting “We have a surprise for you” and “Are you ready for something special?”. Today the team officially revealed their slick new Black product for this years competition called the VJM07. “I’ve always believed our cars have been the most eye-catching, but adding black as a main colour gives us a fierce new look. Key to the new look is the introduction of several commercial partners. The logo of telecommunications brand, Claro, appears on the engine cover and signals the start of a multi-year deal with the famous Mexican brand. There will be prominent Claro branding on the drivers’ suits and team kit. The rear wing end plate now includes branding from Roshfrans, the lubricant oils specialists, following last week’s announcement of a multi-year partnership with the team. Technical Director, Andrew Green, also explained how different the VJM07 is compared to its predecessor: “Almost every single part is a new design, from the front wing right back to the diffuser. Andrew went on to describe how accommodating the power unit was the biggest challenge: “It’s been a massive job to accommodate all the changes to the power unit – it’s the biggest change I’ve witnessed in the sport since I started in 1990. The 2014 Formula 1 season commences with the Australian Grand Prix on March 16. This entry was posted in Motor Sport and tagged Brad Eveleigh, F1, Force India, Formula 1, Sahara Force India, Vijay Mallya on January 22, 2014 by bradeveleigh. It’s not a common occurrence for me to take notice of Speed (ice) Skating but when the Winter Olympics come by every four years I seem to enjoy it, especially when there’s controversy. Don’t we all? Most sports fan, and those who indulge in the Olympic spirit, don’t just enjoy the Olympics as a sporting spectacle but also anticipate a level of abnormality in an event. 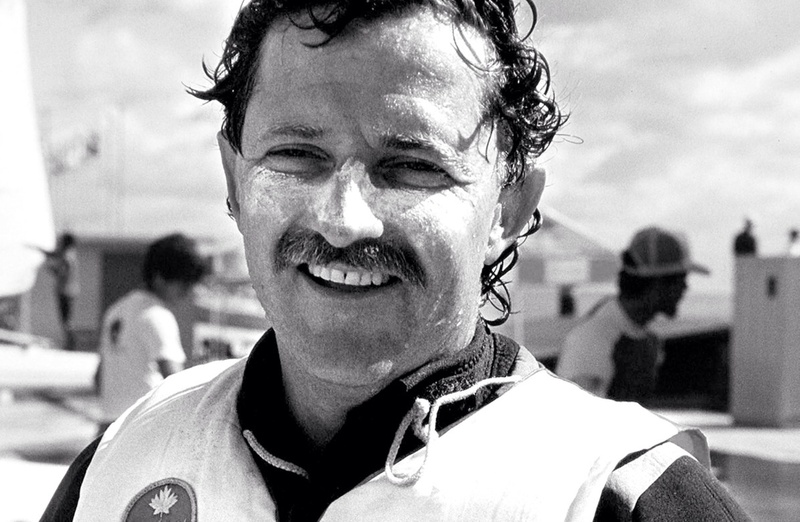 Moments that go down in sporting and Olympic history like the sportsmanship of Canadian sailor Lawrence Lemieux at the 1988 Seoul Summer Games – sacrificing his position to save Singaporean sailors Joseph Chan and Shaw Her Siew who capsised their boat (Lemieux was credited with a second place finish in that race en route to finishing 11th overall). He would also be awarded a Pierre de Coubertin medal by then-IOC President Juan Antonio Samaranch. The 1968 Olympics Black Power salute was another moment in history with an act of protest by the African-American athletes Tommie Smith and John Carlos during their medal ceremony in Mexico City. As they turned to face their flags and hear the American national anthem they each raised a black-gloved fist and kept them raised until the anthem had finished. 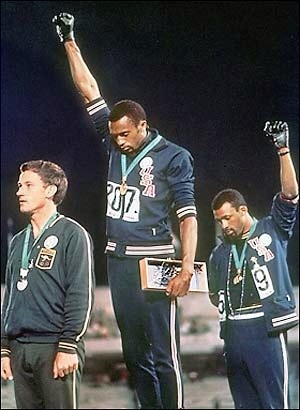 Smith, Carlos and Australian silver medalist Peter Norman all wore human rights badges on their jackets. In his autobiography, Silent Gesture, Tommie Smith stated that the gesture was not a “Black Power” salute, but a “human rights salute”. The event is regarded as one of the most overtly political statements in the history of the modern Olympic Games. 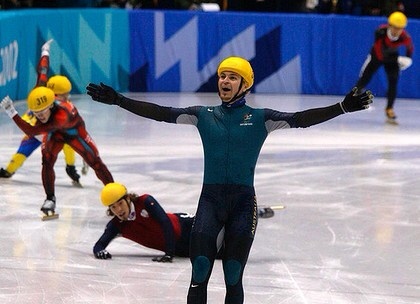 One that comes to mind for Australians, and refers to the subject at hand, is the Gold Medal winning ‘performance’ by Steven Bradbury in the 2002 Winter Games in Salt Lake City. I highlight the word ‘performance’ as his efforts were somewhat lacking but he admitted that was his actual game-plan. After qualifying for the 1000m speed skating quarter-finals Bradbury literally took a backseat to the Gold medal. He progressed through the quarters via an opponents disqualification to be given no chance of making it any further. Bradbury was happy to sit behind defending champion Kim Dong-Sung of South Korea, multiple Olympic medallist Li Jiajun of China and Mathieu Turcotte of Canada hoping they would crash. And crash they did, paving the way for the Australian to take second place and allowing him through to the final. Entering the last turn of the Final, Bradbury was trailing skaters Ohno, Ahn Hyun-Soo, Li and Turcotte (who were on another level) as part of his plan ‘wait and see what happens’. Again, his plan was successful! All skaters crashed out on the final turn and Bradbury, who was coasting 15m behind the pack, strolled over and took Gold for Australia. After unsuccessful protests from fellow competitors and the demand of a re-race, Bradbury became the first person from any southern hemisphere country to win a Winter Olympic event. 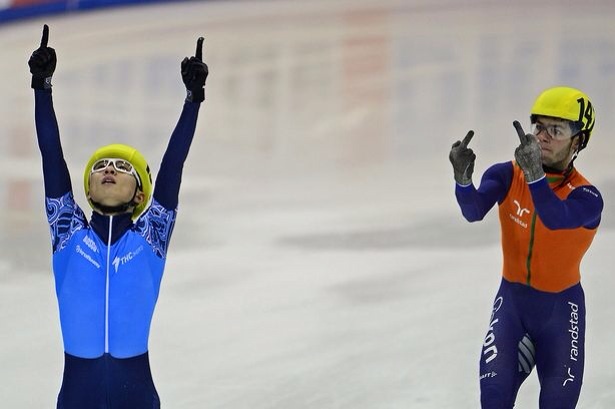 With the Sochi Winter Olympics a matter of days away it seems the Speed Skaters are flaring controversy again (which I’m excited about), this time at the European Championship in Dresden. Three-time Olympic short track gold medallist Viktor Ahn lead Russia to team relay glory, but it seems that his rival Sjinkie Knegt was far from happy with defeat. Knegt immediately reacted to the loss by raising both his middle fingers in an obscene gesture towards Ahn. Unsurprisingly, this led to his disqualification. Knegt also kicked out in Ahn’s direction in such a terrible display of unsportsmanlike conduct, although he was far enough away that he was no chance of connecting the attempt was worse enough. The European Championship represents the final major tournament before next month’s Winter Games . Both Knegt and Ahn will compete in the short track speed skating and I for one will be keeping a close one on this event when it commences February 10 in Russia. This entry was posted in Olympic Games and tagged Australia, Canadian sailor Lawrence Lemieux, Mathieu Turcotte, olympics, Sochi, Speed Skaters, Speed Skating, Steven Bradbury, Tommie Smith, Winter Games, Winter Olympics on January 22, 2014 by bradeveleigh. 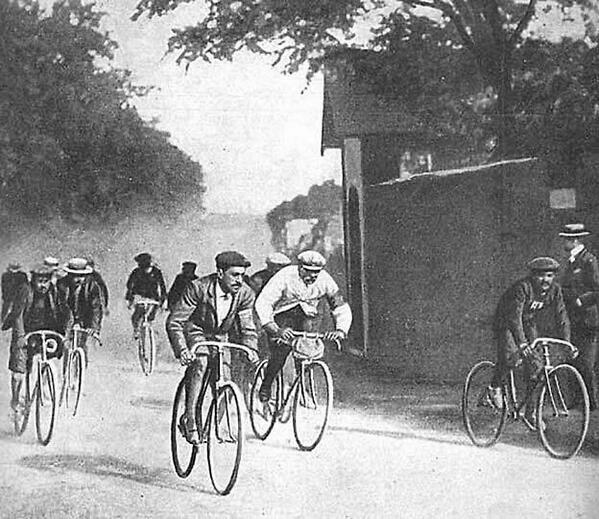 Cyclists in the first Tour de France in 1903. Maurice Garin, in the white, was the overall Tour winner. This entry was posted in Memory Lane and tagged Cycling, France, History, Maurice Garin, old pictures, Sport, TdF, Tour de France on January 21, 2014 by bradeveleigh. Class Mare Chrysanthemum has given birth to a bay colt fathered by champion stallion Frankel at Coolmore Stub in Ireland. 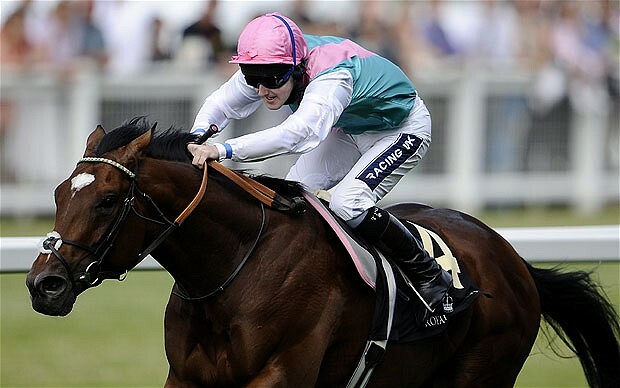 Frankel was regarded as the world’s top-rated racehorse who won 14 from 14 of his races with a cumulative winning distance of 76¼ lengths. The stud fees for the services of the champion horse were at a staggering £125,000 per time. The newborn has a white blaze on his head that has the resemblance of his father and has been reported to had been conceived on Valentines Day. The stallion has produced earnings of £15m from his first breeding season, which is five times what he had earned at the racetrack. Frankel mated with 133 mares at Banstead Manor Farm, near Newmarket, between February and June 2013. Reports from the UK are saying the Bookmakers have been fast to sort odds with one company offering odds of 2-1 (English betting terminology) that the new arrival would win on his racing debut. This entry was posted in More Sport and tagged Chrysanthemum, Frankel, Horse, Horse Racing, Mare on January 19, 2014 by karenunchained. English Super League Club the Bradford Bulls have released their Second Rower Frank Winterstein by mutual consent. 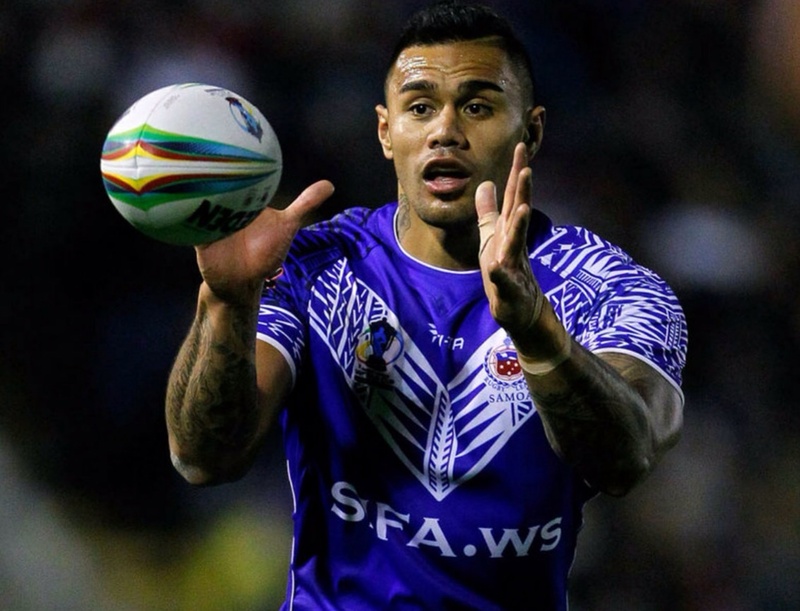 The 27-year-old Samoan International joined the Bulls from the Widnes Vikings on a one-year deal in October however, he was unable to accumulate any game time. Winterstein returned home to Australia at the conclusion of the 2013 Rugby League World Cup to receive treatment on a pictorial injury sustained in the game with New Zealand. Bradford has given their consent for him to remain in Australia following his recent wedding. Bradford Coach, Francis Cummins said he is “disappointed to lose anyone but when I met Frank he talked about an opportunity to play Rugby Union in Australia,”. An opportunity that Cummins won’t stand in the way of. This entry was posted in Rugby League and tagged Bradford, Bradford bulls, Bulls, English Super League Club, Francis Cummins, Frank Winterstein, NRL, RLWC2013, Rugby League, Super League, Widnes Vikings on January 7, 2014 by bradeveleigh.